They would attempt to disarm the householder through guile and various means such as talking, joking, smiling, and rebuking and enter the house. Today, the geometry defining the arrogant powers’ confrontation with the Islamic Republic is directed toward robbing the Iranian nation of its material and spiritual power and conviction. In turn, we should preserve and strengthen that power day by day. ORIGINAL ENTRY: Proclaiming their strength, Iran’s air force and Revolutionary Guards began three days of air defense drills on Monday. 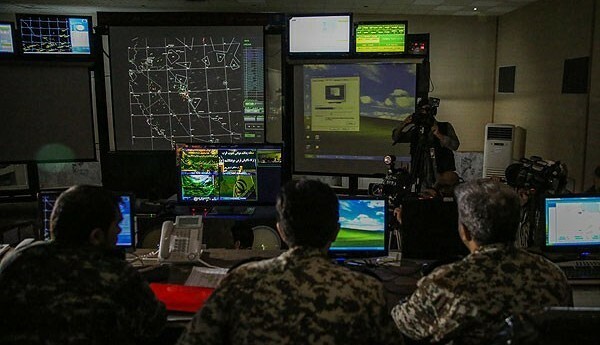 The “Defenders of Velayat Skies 7” exercises are being held over an area of 496,000 square km (308,000 square miles) throughout southern Iran. About 17,000 military personnel members are taking part in the drills with the Army Air Force’s warplanes, including F-4 Phantoms, and low-, medium-, and high-range missile systems. On Tuesday, Iranian State media proclaimed that the “Iranian Army successfully testfired mid-range missiles against hypothetical enemies that invaded some sensitive sites in southern parts of the country”. Due to the foresight of Leader of the Islamic Revolution, Ayatollah Seyyed Ali Khamenei, our missile might has reached a point where it does not allow the enemies to even think about attacking Iran….Threatening the Islamic Republic of Iran in the Strait of Hormuz and the Persian Gulf is a mere joke. Despite the rhetoric, Iran’s air force struggles to match those of other countries in the region, let alone the world’s top powers. The US-made F-4 Phantoms date from the early 1960s and were phased out of most militaries by the early 1990s. Cut off by Western countries after the 1979 Islamic Revolution, Tehran has not been able to upgrade its squadrons. The Supreme Leader’s top aide has declared that Muslims are safe only if they are in Iran. At a conference on Monday night, Ali Akbar Velayati said the Islamic Republic is the only safe haven from “deviants and extremists” such as the Islamic State, the Syria-based Jabhat Fatah al-Sham, and Al Qa’eda. Calling Western media the ‘devil’s horn’, Velayati said they show images of the beheading of innocent people by ISIL, introducing them as an Islamic state. “Islam is the religion of mercy and ISIL is portraying global savages in the name of Islam,” he noted.